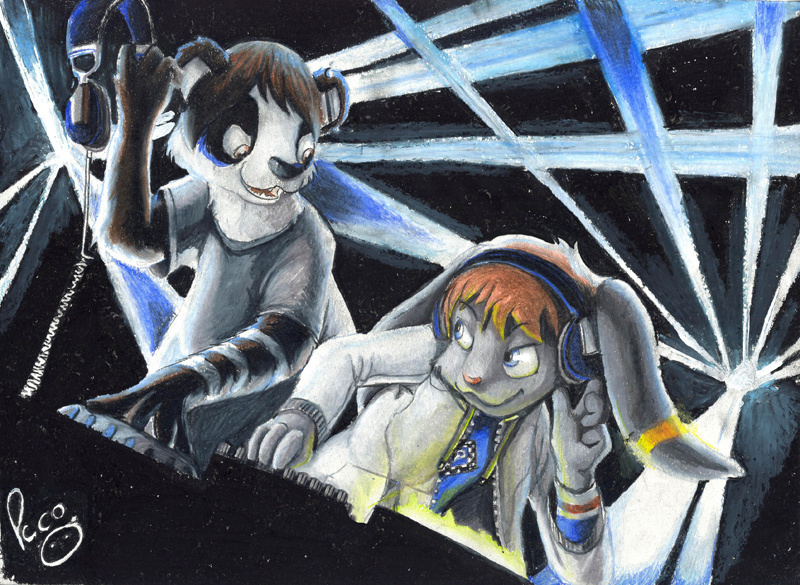 i really like the pic i myself am a panda and my best friend is a bunny and we both love to dj so yea. Good composition.. Love the medium u used. Fantastic job.. Good composition.. Love the medium u used. No worries señor panda, i'm not native english speaker myself. As a DJ myself, the scene looks really familiar.